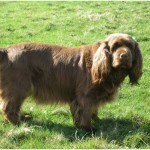 The Sussex Spaniel is originated in England, and it was developed in the Sussex region of Southern England. 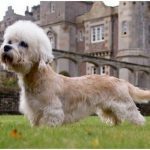 It is a small sized dog breed and sometimes considered as the medium sized dog breed. During World War II, this dog was very rarely seen but as of now it has become popular in the United States. 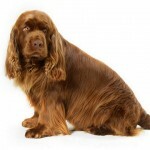 The breed of Sussex Spaniel was developed nearly in 1880s and is said to be the breed originated from spaniels and the hounds. 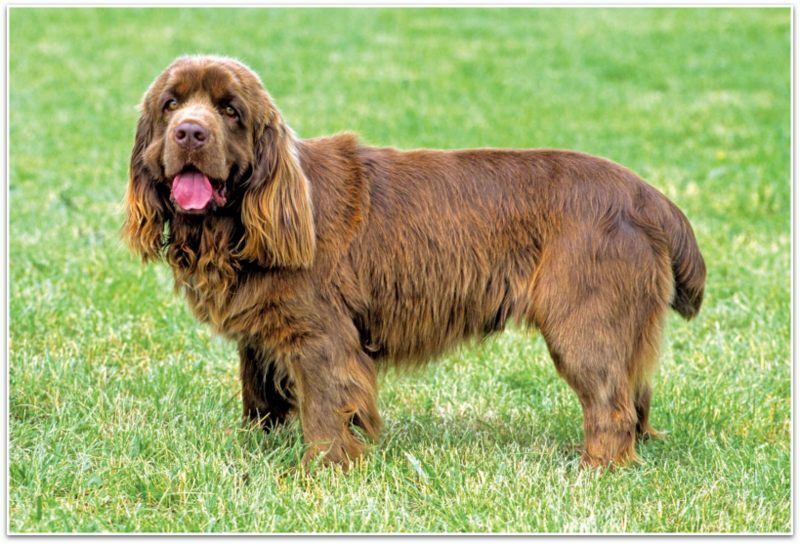 Let’s look at some more information and facts about the Sussex Spaniel. 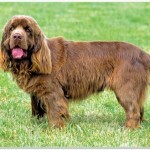 Sussex Spaniel was one of the 10 original breeds recognized by the AKC in 1884. In the 1940’s and during World War II, the dog lost its popularity and there were no breeders at that time. The good smelling capacity of the nose makes these dogs as field hunting dogs and was used in hunting and games. It becomes friendly with cats very soon. With other dogs, it becomes friendly in a short time. A little training is required for the dog as it may be stubborn sometimes. 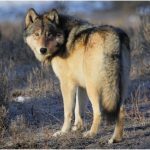 It has the talent of hunting, tracking, retrieving and is said to be good watchdog. 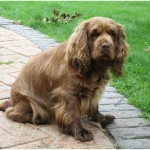 The temperament of the Sussex Spaniel can be defined as the friendly and calm, but it has serious and depressed looks. 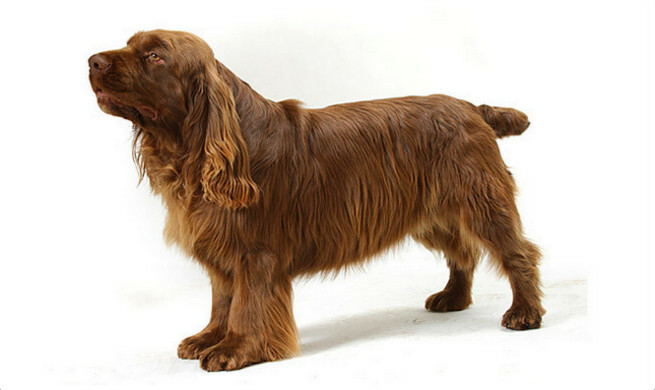 The Sussex spaniel is not hypoallergenic. The price of the dog ranges from $500 to $700. 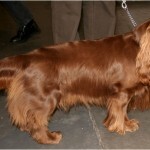 These are not heavy barkers but it does bark sometimes and is considered as the good watchdog. The regular exercise makes the dog fit and active. 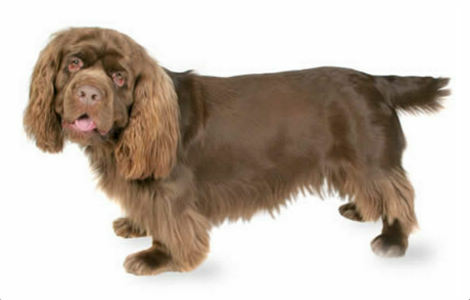 With the liver colored nose, Sussex Spaniel is very strong dog and has short legs. It has large eyes (hazel colored) and a square shaped muzzle while the ears and chest are covered with soft hair. 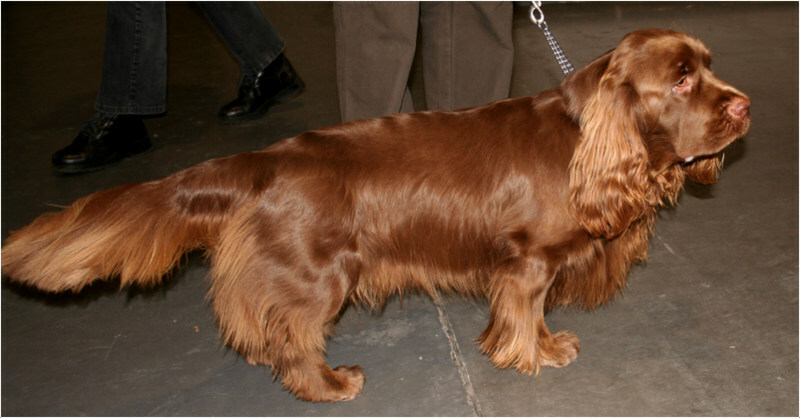 The height of the dog varies from 13 inches (33 cm) to 15 inches (38 cm) while it weighs about 35 lb (16 kg) to 45 lb (20 kg). 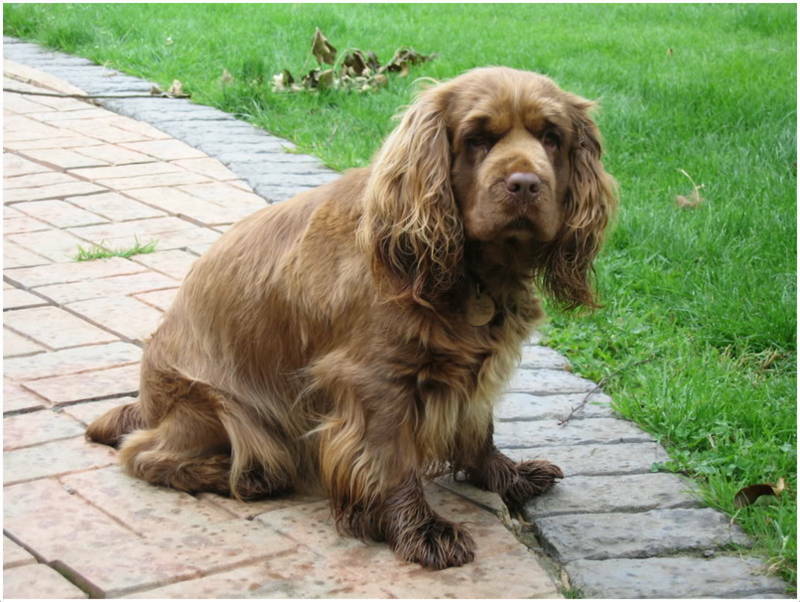 The Sussex Spaniel appears in golden liver color and the coat is long, thick and abundant and it has coat feathers on legs, ears and chest. An undercoat is also present which withstand the climatic changes. 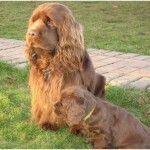 The Sussex Spaniel is very calm and obedient dog. It is enthusiastic all the time and loves to play with the children and family members. Sometimes it may become aggressive especially at the time of training but even then it is playful. 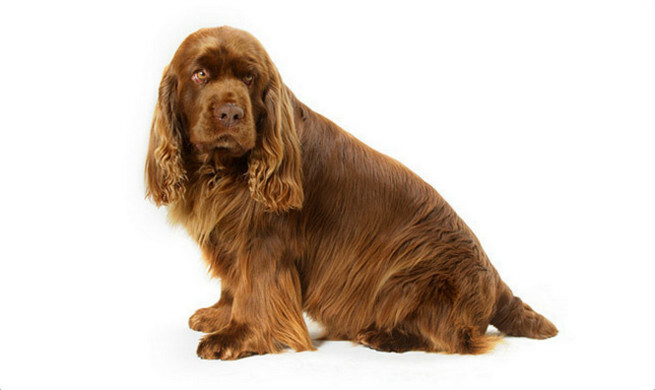 Same as some dogs, Sussex Spaniel too prone to certain diseases and disorders, so proper care and regular attention is required for the dog. 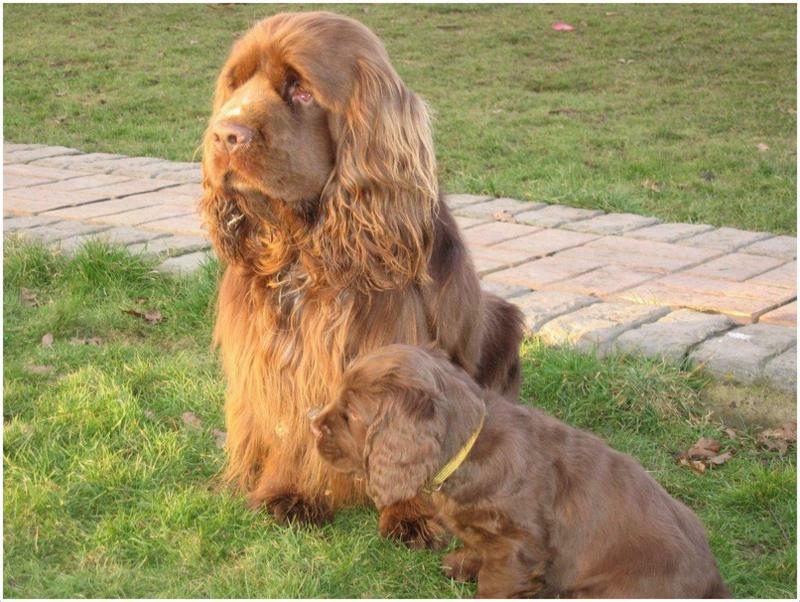 The most common problems that might affect the health of Sussex Spaniel are Patent Ductus Arteriosis (PDA), Intervertebral Disc Disease and pulmonic stenosis. It may prone to ear infections also, so need to clean and check the ears regularly. 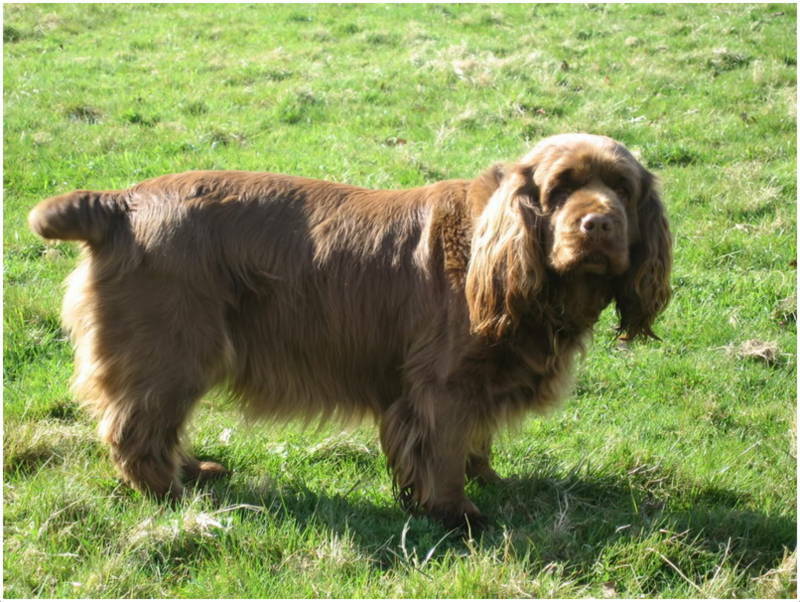 Hip dysplasia (malformation of the hip joint) is most commonly seen in most of the Sussex Spaniels. 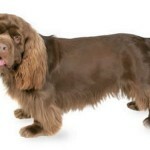 A healthy diet which is divided into 2 to 3 meals per day is preferable for the Sussex Spaniel. Do not feed the dog heavily as it may cause obesity. 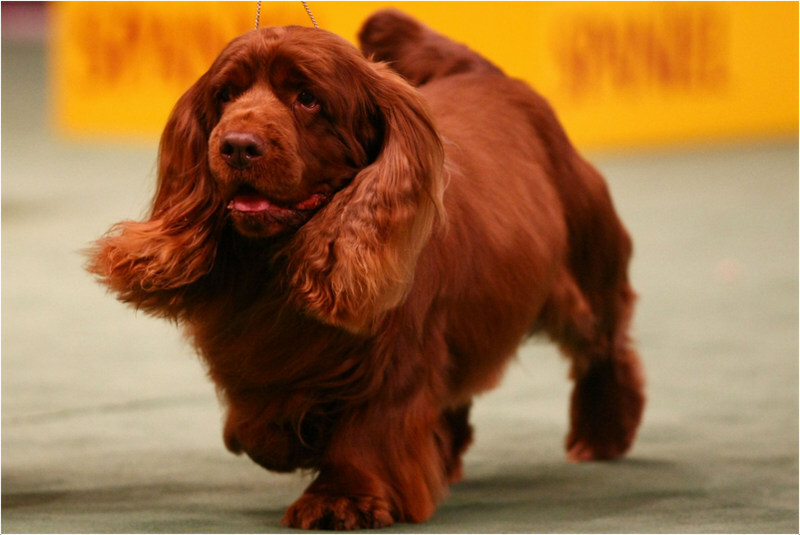 The Sussex Spaniel is good in apartment living and actively participates in the indoor activities. It might do well in the houses with small yards as it likes to play with the children most of the time. Sometimes the dog is very calm and the owners may make it active by taking it to daily walks. 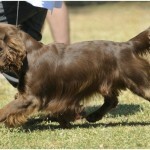 The regular exercise will make the dog fit and active and it is very enthusiastic in nature. 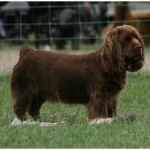 The Sussex Spaniel can give birth to average of 2 to 5 puppies. During the time of pregnancy, a proper care and healthy food should be maintained in order to get healthy puppies. As this dog breed is of small size, supervision is required whenever it is near other big animals.It smells good and sometimes may go out of sight without concerning about any danger, owners should keep an eye on the dog most of the times. 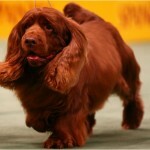 In order to get the healthy and fit puppies, professional breeding is recommended. 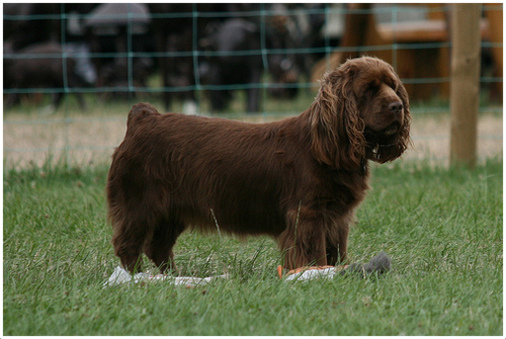 After the breeding, a healthy diet and a proper little exercise is required to keep the dog in perfect condition. Sometimes, whelping may be difficult and needs caesarean section. 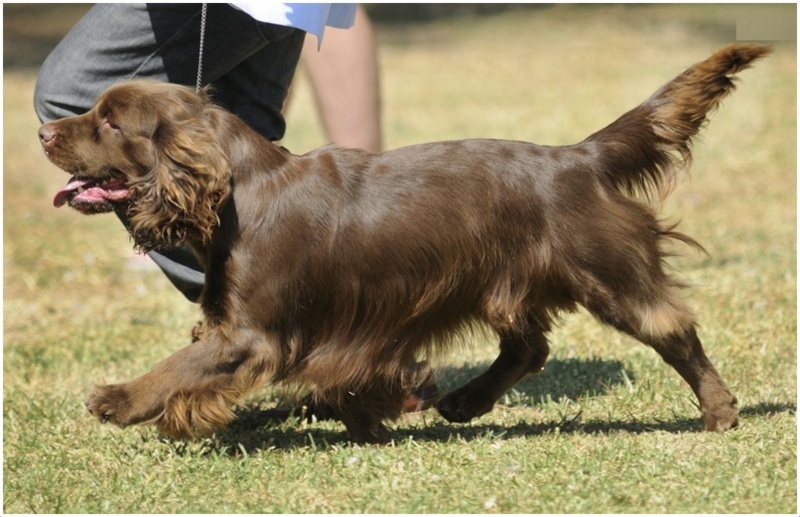 The Sussex Spaniels can live up to 13 to 15 years and on an average it may live up to 14 years. Regular exercise and good diet makes it fit and it helps in increasing the lifespan of the dog than expected. 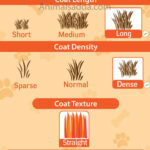 The smooth and soft coat should be combed and brushed weekly in order to keep it clean. Check and clean the ears regularly as it prone to ear infections. If there is any dead or old hair, it can be removed by plucking. 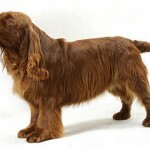 The Sussex Spaniel is not a heavy shedder as it sheds very low. Weekly grooming is preferred so as to keep it clean and active.